3 Most Asked Questions About Transcription	What is Copywriting? And Why You Should Care? The floods in 2011 devastated Thailand’s economy and left many business investors scurrying around for solutions. According to the World Bank, Thailand lost a total of approximately 1,425 billion baht (US$45.7 billion) in terms of economic damages and losses. Many in the manufacturing industries were adversely affected – seven major industrial estates were consumed by the floodwaters which measured close to three meters. The manufacturing supply chains failed to support the automobile production and this led to a global shortage of hard disk drives which continued throughout 2012. 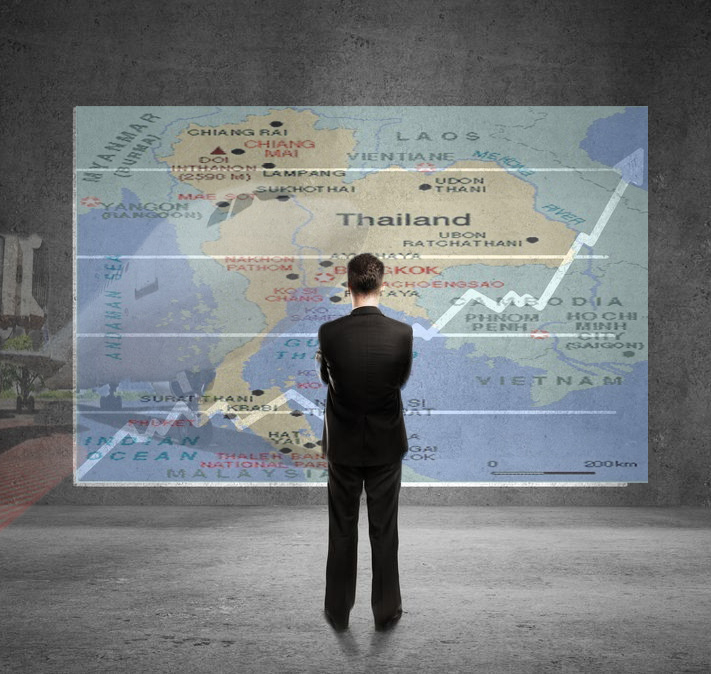 Let us take a closer look at Thailand’s economic outlook in 2013. Based on Bloomberg’s article dated last month, Thailand’s economy is slated to slow down as it embarks on its first recession since the global financial crisis. Gross domestic income continues to wane, judging from the sudden decrease of 0.3 percent from the first quarter to June. This is worrying since it has already shrunk 1.7 percent during the first quarter. Government spending plans have been disrupted while China’s stagnation has tamed demands for exports from Southeast Asia. With rising household debt and sluggish domestic demand, the government needs to find a way to reinvent its economy and attract investors. Just as everything appears bleak for Thailand’s economy, a recent business report dated just a couple of days ago mentioned that Thailand might just be a perfect launching pad for investors who are interested in Southeast Asia. This is especially heartening when Thailand’s neighbor – Myanmar, begins to open up its economy. Thailand is portrayed as a cordial spot for Australian enterprises since industries involved in food and agricultural processing, logistics, alternative resources and service are particularly appealing to Australian investors. Armed with a competent workforce in Southeast Asia, Thailand would have to make an effort to convince investors how efficient and developed its economy has become and how it would serve their interests. According to last year’s statistics, Australia’s merchandise trade with Thailand was valued at A$15 billion while services and both exports and imports amounted to A$3.35 billion. The Australian-Thai Chamber of Commerce (AustCham Thailand) aims to build and strengthen business connections and opportunities in Thailand. In addition, AustCham would also zero in on developing Thailand as a launching pad into Myanmar. The ultimate rationale is to actualize an Australia-Myanmar-Thailand interest group. AustCham has reasons to believe that the proposed interest group will come to fruition. Myanmar opposition leader Aung Sang Su Kyi participated in last year’s World Economic Forum on East Asia during her first foreign trip in two decades. This is a significant move for Myanmar as it becomes more receptive towards political and economic reforms. Unlike its Southeast Asian counterparts, foreign businesses would have to chart their investment agenda in Myanmar very carefully so that local firms would not be disadvantaged. In other words, investors would need to ensure that their business ventures do not hurt the local enterprises, but promote healthy competition amongst businesses instead. Opportunities often present themselves in an uncanny manner. With a huge workforce, natural resources and a resilient economy, foreign investors are beginning to focus on Thailand as a gateway to Myanmar. It might be premature to predict the extent of economic collaboration between Thailand and Myanmar; however these neighbors are in fact promoting “social responsibility” (mutual interests and caring for society) between them, which would help bolster long-term partnership. In other words, there is huge potential in the Thai and Myanmar markets. It is also essential to keep in mind their attention on “social responsibility” when marketing your services and products. If you intend to penetrate the Thai market prior to the Myanmar market, please feel free to contact Scribers for enquiries related to Thai translation and localization services. If you are also interested in the Myanmar market, we do provide Burmese translation and localization services as well. We look forward to hearing from you soon!